The forests in the Central Hardwoods Region will be affected directly and indirectly by a changing climate over the next 100 years. 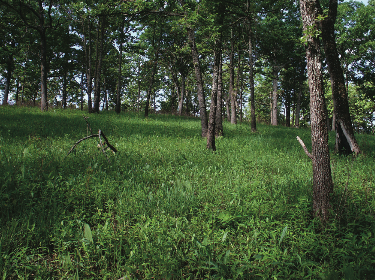 This assessment evaluates the vulnerability of terrestrial ecosystems in the Central Hardwoods Region of Illinois, Indiana, and Missouri to a range of future climates. Information on current forest conditions, observed climate trends, projected climate changes, and impacts to forest ecosystems was considered in order to assess vulnerability to climate change. Mesic upland forests were determined to be the most vulnerable to projected changes in climate, whereas many systems adapted to fire and drought, such as open woodlands, savannas, and glades, were perceived as less vulnerable. Projected changes in climate and the associated ecosystem impacts and vulnerabilities will have important implications for economically valuable timber species, forest-dependent wildlife and plants, recreation, and long-range planning.